Autumn is here! On one half of the world at least. And if you happen to live there, go get a pumpkin and get cookin’! As much as I try to cook more for health’s sake, I often prefer to turn on Netflix and order take-out. But nothing beats the pleasure of eating something delicious that you made yourself. No, not even those freshly delivered burgers. Separate the pumpkin flesh from the peel and cut it into cubes, you can skip this step if using purée (I have taught you how to make pumpkin purée at home already). Peel the onion and cut it into cubes, then fry them in some butter or oil in a pot. Add the Pumpkin to the onions. In case of pumpkin cubes, you should get them nicely roasted; with purée you don’t need to wait much until the next step. At this stage you can also add a chopped carrot and/or potato to shake things up. Pour the stock into the pot and let it simmer for about 20 minutes. Add the creams and don’t let the soup boil anymore. Taste and add spices if you like. If you used the “pumpkin flesh”, let the soup cool a little before blending it. In this case you might want to heat it up again and maybe add some water if it’s too thick. Serve with some parsley. Or chilli flakes like I did. 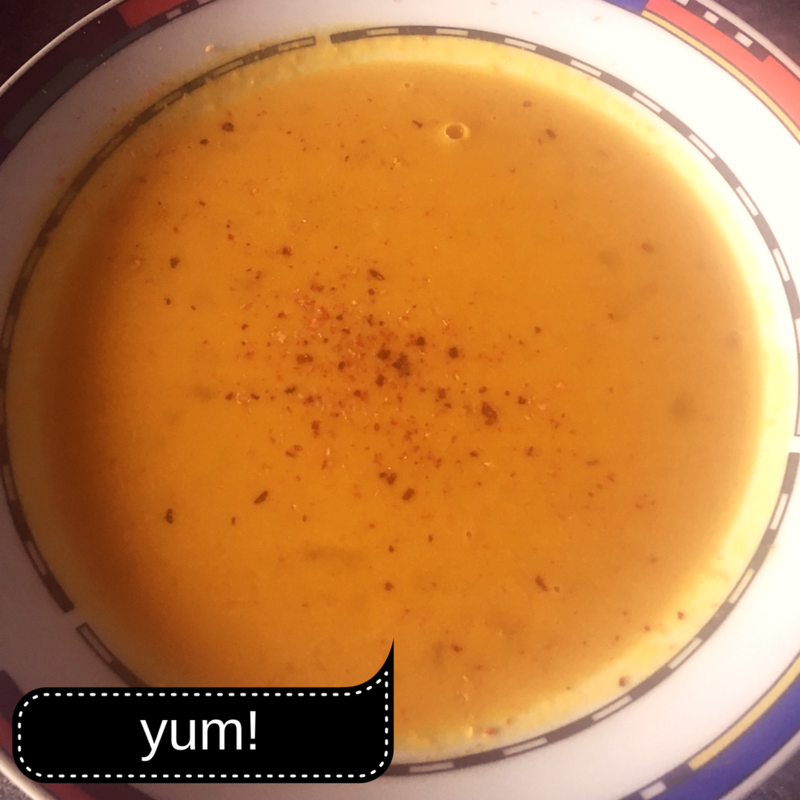 I used 200 ml of cream instead of the two different kinds and the soup still was delicious! Next time I might try out a recipe with curry and coconut milk, but for a the pumpkin flavour alone, this one rocks! How do you make your Pumpkin Soup? Leave us a comment!